Election commission shows off its election war room to combat fake news on social media as poll approaches. Thai TV program airs fake audio clip purporting to show a contrived conversation between ex premier Thaksin Shinawatra and the 40 year old leader of the radical Future Forward Party. The older leader, who lives in exile, is heard coaching the young political leader. No one is quite sure what the final outcome of the election will be. The old battle lines have emerged as the political parties make the final push to polling day. 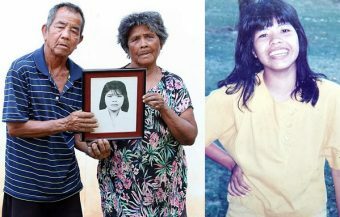 The audio clip may have been designed to negate the ability of Future Forward Party to draw votes from educated, urban and middle class voters particularly in Bangkok where the Future Forward Party is strongest. If so, the ploy may have backfired after being aired and exposed on TV. 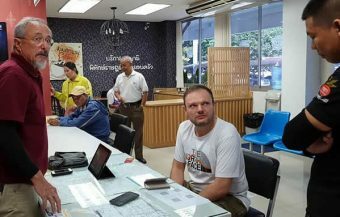 This week Reuters featured the ‘war room’ of Thailand’s election commission now up and running and targeting fake news online. 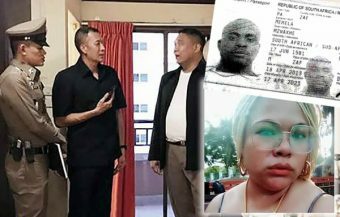 The danger of fake news struck home on Tuesday night when a fake audio clip designed to show a conversation between Thailand’s ex Premier Thaksin Shinawatra and political upstart Thatthanporn Juangroongruangkit, leader of the progressive Future Forward Party was aired on a Thai TV show after going viral online. The young and emerging political leader was quick off the mark on Wednesday to repudiate its contents and warn the public about the dangers of fake news destroying confidence in the media through a lowering of standards. 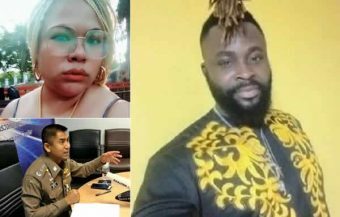 The publication and airing of the tape may, however, have inadvertently been of service to the radical young leader whose party proposes a more progressive agenda for Thailand. Staff within the ‘War room’ at Thailand’s Election Commission monitoring social media activity 24 hours day in the lead up to Thailand’s general election. Meanwhile, a TV broadcast played its part in exposing a viral audio clip purporting to be a conversation between Thailand ex Premier Thaksin Shinawatra and radical Future Forward Party leader Thanathorn Juangroongruangkit when it was aired on a TV program with silhouettes outlines of both men. Thanathorn on Wednesday came out fighting and it has been revealed that the clip is fake. 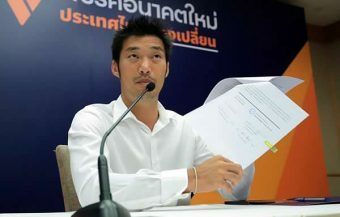 The fake news attempt portrayed Thanathorn as a political stooge of Thaksin whom he referred to in the clip as ‘Uncle’ and sought advice on what his next move should be. The fake news gambit is unlikely to sway young, intelligent voters and may well have the opposite effect. 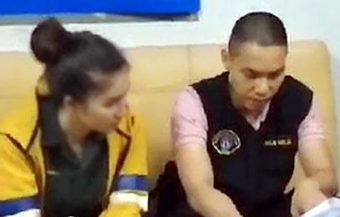 Perhaps one of the biggest ‘fake news’ issues of the campaign erupted on Wednesday when the leader of the Future Forward Party came out and demanded an apology from one of Thailand’s TV networks which published what appeared to be a secret conversation between the young leader of Thailand’s new, radical political party and the ex Premier who now lives in exile after being jailed on corruption charges after he fled Thailand in 2008 breaking his bail conditions. Despite this, Thaksin Shinawatra and his family still command a strong following in Thailand with an equally strong group of people who revile the former prime minister. The presenter of the popular TV program that aired the audio recording did not name the Future Forward Party leader but a visual that appeared on air with the explosive audio lip showed an uncanny resemblance to the head profiles of both well known Thai political figures. 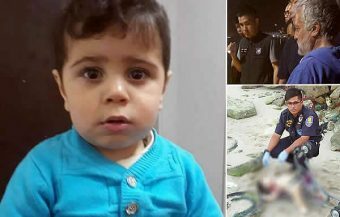 In fairness to the TV presenter, he was only presenting the audio clip which had already gone viral online. The audio clip was quickly identified as a fake production using excerpts from interviews given by both political leaders in the past. ‘I think I could get 20 seats’ says Thanathorn Juangroongruangkit in one exchange. 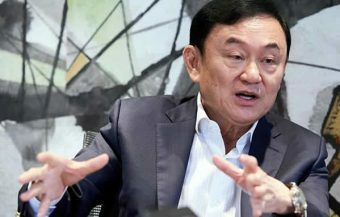 The voice of Thaksin was taken from an old BBC interview and an conversational exchange with students in a school in Thailand. The audio clip was quickly confirmed as fake. It clearly was designed to sow doubts among some, more progressive voters who may be attracted to the new Future Forward Party and its modern platform. It also targets young people, particularly from middle class backgrounds, who see Thaksin as a shadowy, big business figure. The Future Forward leader this week made an astute move by giving control of his personal wealth and putting it in trust. ‘I am not part of the elite,’ he emphasised. 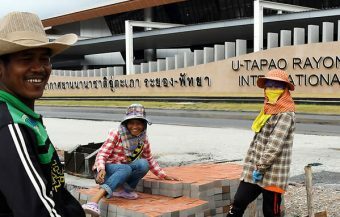 It is a message that resonates not just with the young but with many lower middle class Thai voters in urban areas who might have previously been naturally opposed to Thaksin Shinawatra and successive, populist governments seen under his patronage. The Future Forward leader came out fighting on Wednesday, proclaiming the audio clip as fake. He even thanked the offending TV network for allowing him to clarify his position on air while warning that the quality of journalism is at stake by such tapes. Thatthanporn Juangroongruangkit was previously a director of the progressive Thai media company Matichon, which publishes Thai newspapers and websites. He resigned from that position before he set up his political movement and his family is reported to be in process of disposing of its shareholding in the company. ‘Good politics will never be possible without quality from the mass media,’ he said on Wednesday in one exchange. On TV this Wednesday, he denied that he had spoken or colluded like this with Thaksin Shinawatra. ‘Have you talked to Khun Thaksin in person?’ he said. Meanwhile, Thaksin’s son tweeted a Thai word online which translates in English as ‘shame’ referencing the affair even though his father has not commented. In the last few decades, audio and video clips have become part of the intrigue of Thai politics and warfare between political antagonists. 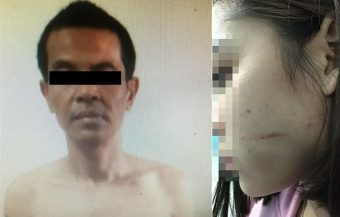 The effect of the fake audio clip may cause some younger people to distance themselves from Thanathorn Juangroongruangkit if they were naive enough to believe the recording is true despite confirmations today that it is fake. In this, the TV show that aired the tape may have served Thanathorn well by bringing it to the light of day as a fake recording. It is equally true that the attempt to link Thanathorn with Thaksin may boost his party’s vote among pro Thaksin voters and loyalists who are very loyal to the the ex Premier and his family. At the same time, it is also identifies Thanathorn, his party and candidacy as something that is seen as a threat. It could also be interpreted by many voters as a reemergence of the old lines between red and yellow shirt politics in Thailand something the young leader wants to pull Thailand away from. The biggest irony of all is that it gives publicity to Thanathorn and the Future Forward Party when the Thai media should be critically scrutinizing that party’s left wing economic and social agenda which has not entirely been proven as a success in other countries around the globe where it has been implemented. Thailand’s very powerful election commission has set up a ‘war room’ to monitor social media activity online as election day approaches and in its aftermath. It is expected that there will be tensions as parties absorb the result and begin the difficult process of forming a new government under the new constitution. At the site of the election war room that reporters had brief access this week, there were banks of computers, printers and 8 eagle eyed personnel on 8 hour shifts, 24 hours a day, scanning social media accounts and messages. They are not only looking for fake news but any online content which could infringe the strict controls imposed on political parties and candidates fighting the election. Sawang Boonmee is the Deputy Secretary General of the Election Commission. He gave an exclusive tour to the Reuters news organization this week and explained the mission. 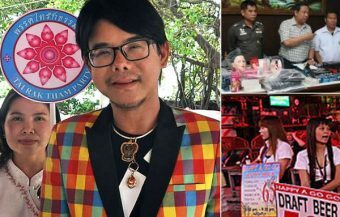 Staff were on the lookout, he said, for online posts or content which ‘spreads lies, slander candidates’ or spread rude language in Thailand which is country where politeness is always a prized quality. A spokesman for Facebook has said in response to queries about the media monitoring unit that it deals with requests from Thai authorities on a case by case basis. 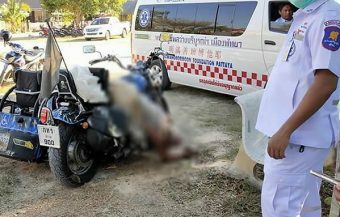 It pointed out that it deals with Thai authorities in a similar fashion to other governments and national authorities. ‘We have a government request process, which is no different in Thailand than the rest of the world,” the Facebook spokesman said. Thailand’s new constitution and election regulation places stringent responsibilities on all political parties and candidates to be meticulous in what they say and post online. Some activists and pro democracy organisations have suggested that the rules and requirements go beyond addressing ‘fake news’ and are designed to be restrictive. Pongsak Chan-on, a coordinator for the NGO (Anfrel) Asia Network for Free and Fair Election in Bangkok was sceptical when interviewed by Reuters. ‘The rules are stricter than in any recent elections anywhere. They’re so detailed and strict that parties are obstructed,’ he said. 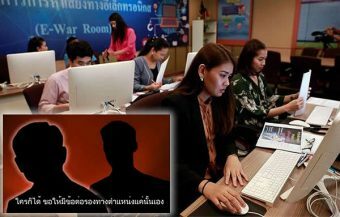 Mr Boonmee, the Election Commission Deputy Director General, told the Reuters reporters that there was another intelligence centre working with the ‘E War Room’ in monitoring election activity online. 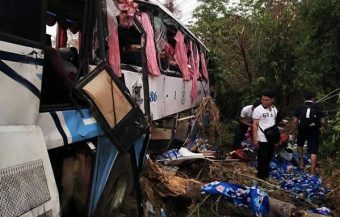 The election, in its final stages, is breaking down into a race between those who support the junta appointed government that has ruled Thailand without incident since 2014 and restored order to the country on one hand, and pro democracy parties on the other, who say the country has stagnated under military rule. 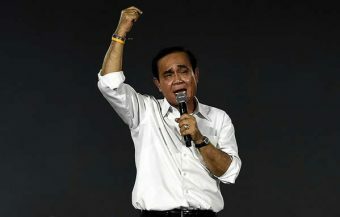 Even though the progressive Future Forward Party has sought to change the battle lines and political divisions with an emphasis on 1970s students politics and a call for a more progressive and economically fairer Thailand, the old red and yellow divisions are appearing as the election reaches a decision point. This is still a battle between the establishment parties who want to preserve Thailand’s traditional order and a more progressive, populist approach to politics represented by Thaksin Shinawatra. The shadow of the ex premier is being felt in the last week of the election with many establishment parties claiming that he is still influencing the vote. It should be pointed out that the new regulations and requirements however apply to all political parties equally and impartially. For instance, in recent weeks the election commission has issued guidance on the limited role the incumbent prime minister may play in election campaigning while he himself has been reluctant to take part in political rallies, fearing that he may end up on the wrong side of the election laws and regulation. The young Future Forward Party is particularly critical of the tight regulations. It has already been the subject of complaints to the election commission. 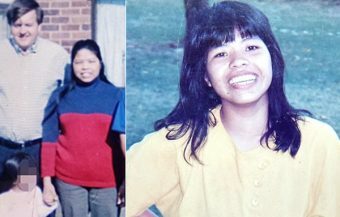 Pannika Wanich is a spokesperson for the party. 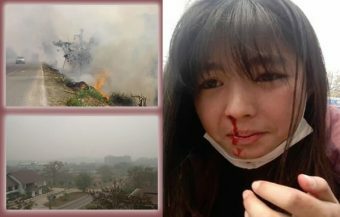 ‘They create complications for parties,’ she told reporters. The Election Commission has already dismissed a case against the party for an inaccurate biographical reference to its party leader which had been previously removed from the party’s website. Facebook is huge in Thailand where three quarters of the country’s almost 70 million users are connected to the internet. Thailand’s the social media giant’s 8th largest market, worldwide. A survey by Hootsuite, a social media management company for business, shows that Thai people are in the top 10 when it comes to being social media savvy. As well as Facebook, LINE, a Japanese based messaging and photo sharing app is hugely popular in Thailand. It points out that it’s chat feature is private and it doesn’t monitor content on such feeds but it’s news content only references what it terms ‘trusted publishers’ on its news section. Thailand heads to the polls this week and tensions are now running high over the prospect that each party is facing. So far, except for the huge controversy of a Thai political party being eliminated for nominating a Royal princess as prime minister, the campaign has been conducted in an orderly and satisfactory manner. It is reported that the Palang Pracharat Party, the party seen as supporting the present government and who have nominated Prayut Chan ocha as their sole candidate for Thailand’s next prime minister, is finally achieving a backing in key provinces through well known political figures and organizations. The new constitution, voting system and disbandment of one political party already, has left the door open to newer and older smaller parties. 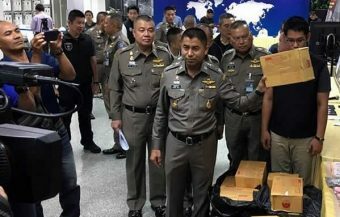 The Bhumjaithai Party which has striking proposals on the more extensive legalization of marijuana and more access to education in Thailand is emerging a force in the election, particularly in some regions of the country. The former ruling Pheu Thai Party is holding its own in its traditional heartlands but the extent of its success may be somewhat more limited than before. It is predicted to be the leading political party in parliament. Thailand’s oldest party is also doing well although there are reports of a possible party split with one faction wanting to align the party more with the current Prime Minister and establishment while its leader and former Prime Minister, Abhisit Vejjajiva, seems genuinely to be trying to reestablish the party’s credentials as committed to democracy. The biggest news and potential shock of the election could be the breakthrough, or not, of the Future Forward Party whose young leader Thanathorn Juangroongruangkit is repeatedly reported to be engaging with many young Thai voters across the country and not just in urban areas.